If you are in the apartment rental business, you need signage that attracts the right kind of people and apartment monument signs are excellent for getting your buildings noticed. However, not all monument signs are the same, and when you come to Dave’s Signs, we help get the most from your signage. Here are some of the things we’ll do for you. In some settings, it’s difficult to give your signage maximum visibility and still provide an effective way to attract the reader’s attention. When you near the Pacifica Glendale Apartments, you’ll see some lovely palm trees and not far from them is the perfect location for apartment monument signs. You can almost envision the quiet and comfortable retreat from daily life when you experience this kind of signage. The 555 Apartments sign is a perfect example of how to place apartment monument signs. Notice how we made the number “555” stand out from the background and the sign is placed in one of the most aesthetically pleasing settings. This signage reflects the impeccable landscaping and all of the good things that potential renters will find inside this popular community. Not all apartment complexes are the same, and the Old Agoura Hills Luxury Apartments offers some exciting new luxury townhomes to the people of Old Agoura. They didn’t want a simple sign that could represent just any community. They wanted something to express their beautiful and luxurious homes with some of the finest amenities. Notice the wood grain on the sign. 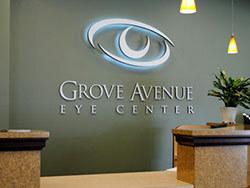 This sign provides a professional appearance as well as a lasting impression on the reader. If you would like to see what Dave’s Signs can for your rental business, call us today at (805) 641-1387. We offer complete services that include design, fabrication, installation, and sign maintenance and repair.